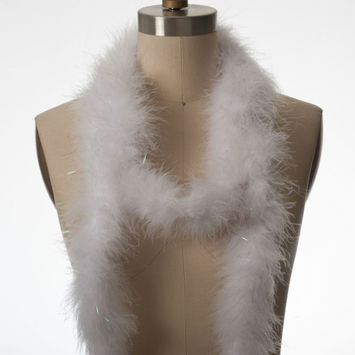 A Feather Boa, or feather scarf, is an iconic accessory. Feather boas are typically made of turkey, ostrich, marabou, and/or chandelle. 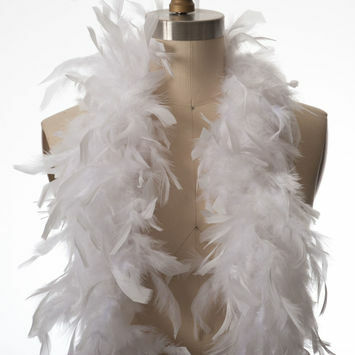 Popular in the Victorian era, feather boas may have been invented as early as the 17th century. They were reinvented in the 70's and 80's with disco and glam rockstars sporting feather boas. Feather boas are also common in New Orleans during Mardi Gras. Strut your stuff in one of Mood's feather boas.